Nokia announced their first Windows tablet yesterday, the Nokia Lumia 2520 tablet, the device is headed to both Verizon Wireless and AT&T in the US, as yet there are no details on whether the table will land on Sprint and T-Mobile. AT&T has the US exclusive for the new Nokia Lumia 1520 Phablet, they will also carry the Nokia Lumia 2520, although there are no details on pricing for the tablet on Verizon or AT&T as yet. 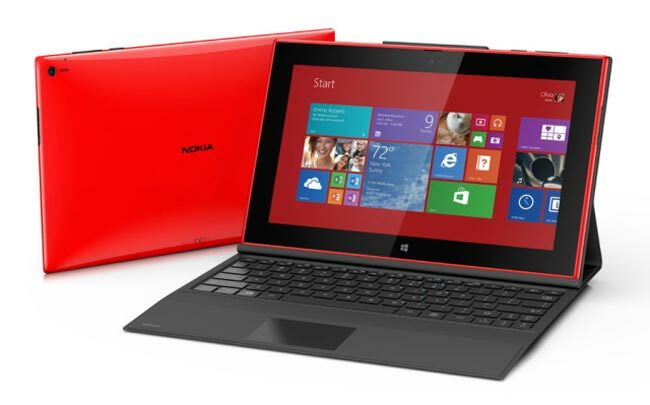 The Nokia Lumia 2520 comes with the latest version of Windows, it features a 10.1 inch full high definition display that has a resolution of 1920 x 1080 pixels. 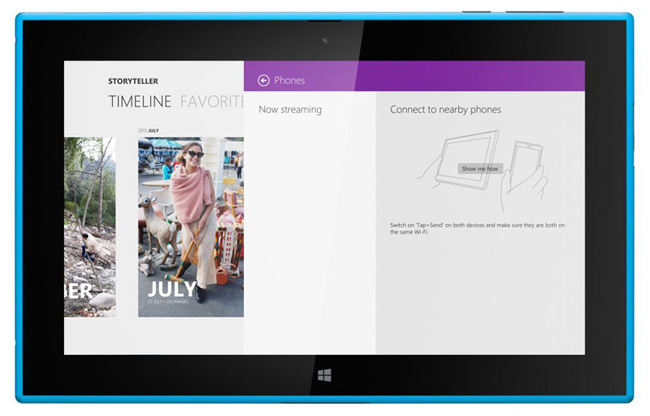 Powering the Nokia Lumia 2520 tablet is Qualcomm’s latest flagship mobile processor, the Qualcomm Snapdragon 800 processor, which is a quad core processor with a clock speed of 2.2GHZ. The Lumia 520 comes with 2GB of RAM and 32GB of built in storage, should you need additional storage, the tablet features a microSD card slot that supports up to 32GB cards. There are front and rear facing cameras on this new Windows tablet from Nokia, on the back we have a 6.7 megapixel camera with a Carl Zeiss lens and an f1.9 aperture, up front there is a 2 megapixel camera which is capable of HD video in 720p. The Nokia Lumia 2520 tablet also features an 8,000 mAh battery and it will go sale in the US and US soon, the device will retail for $499 before taxes. Nokia has gone all-out with great thought into a first time entry tablet. Just from a marketing standpoint in regards to price value, (with colors, battery-keyboard folder, camera, sd ram expansion & built in LTE) it's a sensational hit for the rest of the lumina wp8 eco system. This tab is going to do what the MS Surface could not. RT will really take-off from here, going to be to be HUGE..
barbour jackets outlet Then barbour outlet combat the mind transfer, followed closely behind, so late that he will not let himself go. barbour jackets outlet Then it was midnight, shantytowns had no light. barbour jackets outlet Himself did not dare to go back in a small way, the pace fast, pounding heart jump. She is the first time the night, heart and nervous and scared. barbour jackets outlet Thought barbour sale previously seen a ghost story, it is afraid to go faster.